Surrounded by the tallest mountains this side of the Mississippi River, Asheville is the perfect home base for your stargazing adventure. There&apos;s nothing quite so spell-binding as looking up into a starry sky filled with constellations, distant planets and a golden moon. 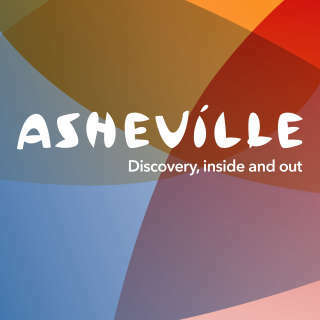 As a small city, Asheville produces minimal light pollution so you can easily make your move from the excitement of downtown to ponder the skies. In fact, the surrounding areas have some of the “darkest skies” in the region. What little Asheville city glow there is can easily be escaped with a short drive into the mountains. With over 50 named peaks above 6,000 feet, Western North Carolina reigns for those who seek higher elevation. 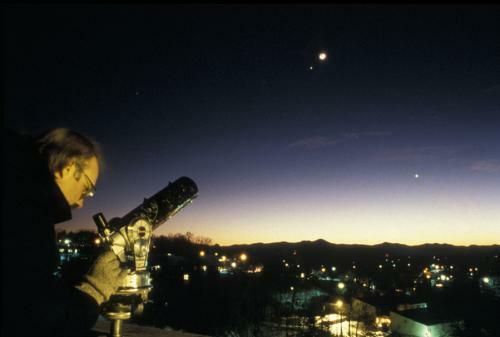 Asheville is also home to one of the nation’s most active astronomy clubs, thanks in part to the proximity of multiple beautiful observatories. Almost every month, the Astronomy Club of Asheville hosts two free public stargazing events. They co-host the most popular stargazes with the University of North Carolina at Asheville (UNCA) at the Lookout Observatory on the university&apos;s campus. The Observatory, which opened in 2014, is a joint project between the university and the astronomy Club. While students use it for research, it’s also open to the public about once a month for a family-friendly stargaze. The public stargazes are free and telescopes are provided. So, all you need to bring is your curiosity. UNCA faculty members, student representatives, and astronomy club members are there to answer your questions and help you use the telescopes to locate your favorite constellation or planet in the sky. Know before you go: The stargazes at Lookout Observatory are very popular and require registration two weeks in advance. Upcoming stargazes are posted on the Lookout Observatory website (as soon as one ends, the date for next one is posted). Every scheduled stargaze also has a weather back-up date just in case. The Astronomy Club of Asheville also hosts public stargazes at the Grassland Mountain Observatory in the Little Pine Valley area of nearby Madison County. While a bit farther outside of town (45 minutes), this rural observatory near a 200-acre nature preserve offers great star watching conditions with dark skies. The club posts the schedule, and temporary gate code, for these stargazes on its website. 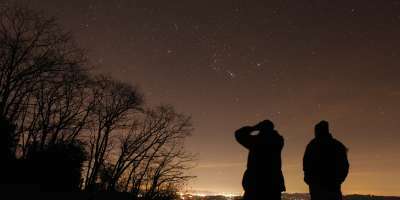 About an hour from Asheville, near of community of Brevard, the Pisgah Astronomical Research Institute (PARI) hosts multiple stargazes each month. The former NASA facility used to track satellites, is now a non-profit education and research center that features large telescopes, space shuttle artifacts, and a meteorite/gem/mineral collection. Given its location in the forest, there is little light pollution to distract from the starry sky. PARI gives visitors a chance to stargaze during SkyTrek Observing Sessions, held on select Friday and Saturday nights throughout the year. 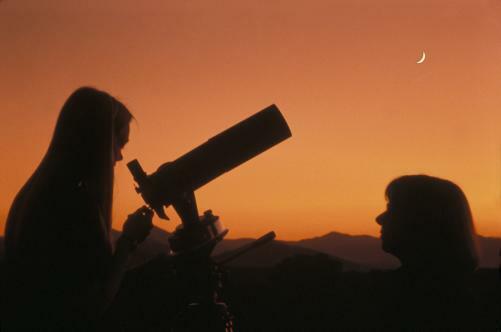 Major astronomy experts and scientists are also drawn to the area to give presentations and provide educational events. The Astronomy Club and UNCA collaborate to present about 10 free public speaker sessions a year on the UNCA campus. Past meetings have featured representatives from NASA and regional leaders in academics. Head into the mountains on your own for a self-guided stargazing adventure! No fancy equipment is needed. Stargazing is mesmerizing, even when done with just the naked eye. Of course, things really start to get interesting when you magnify that view. Whether it&apos;s a pair of binoculars or an advanced telescope, how you stargaze is up to you. Or, leave the planning to the experts and experience extreme stargazing with Star Watch Night Vision Tours. This unique adventure tour company provides guests with an opportunity to see the sky as never before, using Alpha Generation 3 Military-Issue Night Vision Equipment. Search the skies for shooting stars, satellites, and unidentified aircraft using their equipment. You will be able to see thousands of stars that cannot be seen with the naked eye!